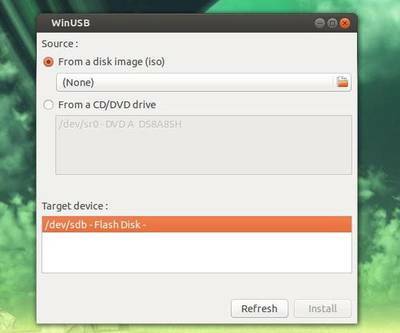 As you may know, WinUSB is simple tool allows to create bootable Windows USB install stick from Ubuntu Linux. This tool supports Windows 7, 8, Vista, XP and can use either an ISO or a DVD as a source. In the screen above, choose your ISO or DVD drive and plug in the USB stick and click Refresh to make it available. Click ‘Install’, WinUSB Maker will format your USB device before converting your ISO or Directory into a bootable image on your USB device. The whole process will take several minutes up to an hour. And you’ll get a pop-up to let your know when finished. There’s a PPA contains WinUSB package for Ubuntu 13.04, Ubuntu 12.10, Ubuntu 12.04, Ubuntu 11.10, Ubuntu 11.04, Ubuntu 10.04 and Linux Mint 15, 14, 13, 12, 11, 10. 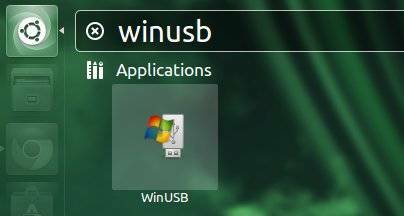 Winusb won’t install unless you update the repositories. You can always hit Ctrl+C to interrupt it and try again.